The world was shocked by the death of Chester Bennington this past July, with a medical examiner ruling that the Linkin Park frontman had committed suicide by hanging. Now, the frontman's autopsy report has been released, revealing he had used drugs prior to taking his own life. As TMZ reports, autopsy and toxicology results show that Bennington had alcohol and MDMA in his system at the time of his passing. The site adds that authorities found a prescription bottle of Zolpidem (Ambien) on his dresser, along with a pint glass of Corona and an empty bottle of Stella Artois. 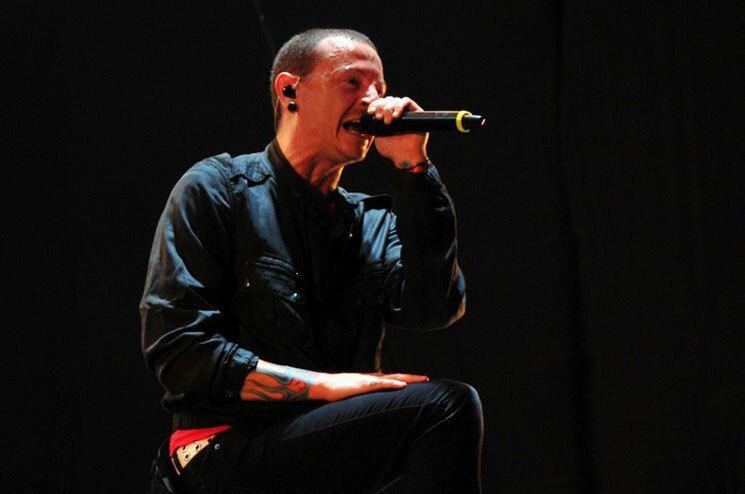 TMZ notes that Bennington's wife, Talinda, told authorities that the vocalist was in an outpatient treatment program at the time, having told friends he had been sober for six months prior to his death. She added that he had been prescribed antidepressants in the past, yet hadn't taken them in over a year. Bennington was found at his private residence on July 20. He was 41. Linkin Park are set to release a live album from his final tour with the group later this month. One More Light Live will arrive December 15 via Warner.